The opinions that mean the most to us are the ones of the clients we’ve served. But it’s also gratifying when our peers, legal experts and the national press recognize us for doing outstanding work for the people we represent. Following are some of the top ratings, awards and recognitions we’ve received from these important groups over the last few years. AV Rated (Martindale Hubbell® Ratings system) Martindale-Hubbell® Peer Review Ratings™ “are an objective indicator of a lawyer’s high ethical standards and professional ability, generated from evaluations of lawyers by other members of the bar and the judiciary in the United States and Canada,” according to Martindale Hubbell, the only objective ratings system for lawyers. These ratings – generated by lawyers’ and judges’ written evaluations – reflect an overall rating of a particular lawyer, ranging from the top rating of “AV® Preeminent™” to the lowest rating of, simply, “Rated.” These ratings are the combination of both numeric values assigned by the evaluators in specific categories and the number of evaluators who respond. Two categories are considered by lawyer and judge evaluators when ranking a lawyer, namely, the “General Ethical Standards Rating” and the “Legal Ability Rating.” The “General Ethical Standards Rating” embraces the lawyer’s adherence to professional standards of conduct and ethics, reliability, diligence and other criteria relevant to the practice of law. The “Legal Ability Rating” embraces the professional ability within a specific area of practice covering the lawyer’s legal knowledge, analytical capabilities, judgment, communication ability and legal experience. All 5 of those categories are assigned a scaled numeric value by the evaluator from highest to lowest. From those numbers and evaluations is generated the lawyer’s overall rating. Brian McCallister has consistently held the “AV® PREEMINENT™” rating since the late 1990’s. The AV® Preeminent™ mark is a significant rating accomplishment – a testament to the fact that a lawyer’s peers rank him or her at the highest level of professional excellence. US News and World Report – Best Lawyers and Best Law Firms The U.S.News – Best Lawyers “Best Law Firms” rankings are based on a rigorous evaluation process that includes the collection of client and lawyer evaluations, peer review from leading attorneys in their field, and review of additional information provided by law firms as part of the formal submission process. 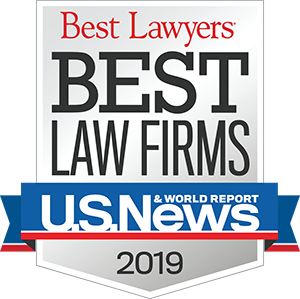 To be eligible for a ranking in a particular practice area and metro region, a law firm must have at least one lawyer who is included in Best Lawyers in that particular practice area and metro. For more information on Best Lawyers, please visit bestlawyers.com. Super Lawyers® is a rating service of outstanding lawyers from more than 70 practice areas who have attained a high degree of peer recognition and professional achievement. The selection process includes independent research, peer nominations and peer evaluations. Less than 5% of the lawyers in the KC Metro area receive this recognition. Brian McCallister has consistently maintained this distinction since 2004. Missouri Association of Trial Attorneys The Missouri Association of Trial Attorneys is a statewide membership association of approximately 1200 attorneys. Our members are dedicated to protecting the rights of individuals to pursue justice when they are injured. MATA provides our members with legal education seminars, facilitates the sharing of resources, compiles research on key legal topics and represents our membership in the Missouri General Assembly by advocating for their clients’ right to seek justice through the Missouri Courts and Workers’ Compensation system.